Yona finally meets Jaeha, the Green Dragon. Unfortunately, Jaeha has no desire to follow her on her quest! 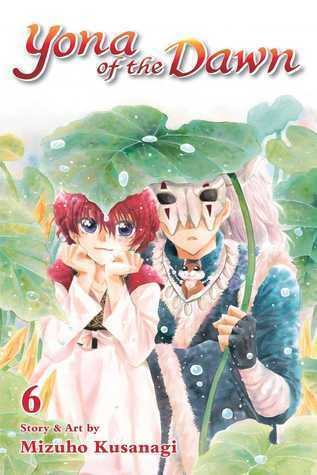 Yona offers to help Jaeha and his fellow pirates, so Captain Gi-Gan challenges her with a perilous quest to test her courage. Will Yona be able to pick the Senju Herbs from the steep cliff face of the Misty Cape? 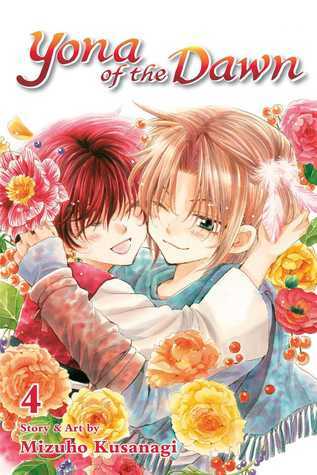 First, the cover for this volume is absolutely adorable and is so far one of my favorites. Second, I think this is one of my favorite volumes of the series so far. Don’t get me wrong, I really like all of them as of now, but I think this one is definitely up there. I really like how Jaeha fights his urge to join Yona and the gang, it’s different. Gija joined the group because he’s been waiting for this opportunity his whole life and feels like it’s his absolutely duty. Sinha joined the group because Yona gave him the opportunity to see the world and make friends, something he never thought he’d ever be able to do. So the fact that Jaeha is fighting the urge to join Yona because he feels like it would violate his want for freedom is very interesting and will definitely set up some cool character development down the road. In fact, during the perilous quest you get to see Jaeha think of Yona for herself and not as his destined master, they’ll have a neat relationship I’m sure of it! 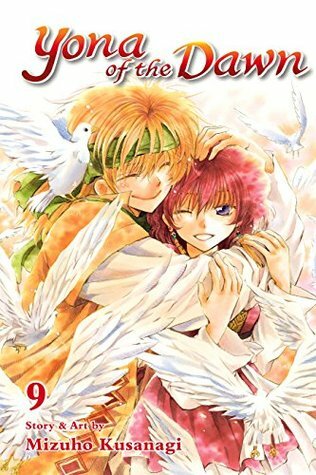 Speaking of Yona’s perilous quest, I think that is one of my favorite chapters in the story so far. She’s so realistic and brave. She’s scared, she cries, she freezes, but it’s all so real. I love strong heroines, but I’ve always felt that the strongest ones are the ones who push forward even when they’re scared, crying, and knees shaking—and that’s what you see Yona do. 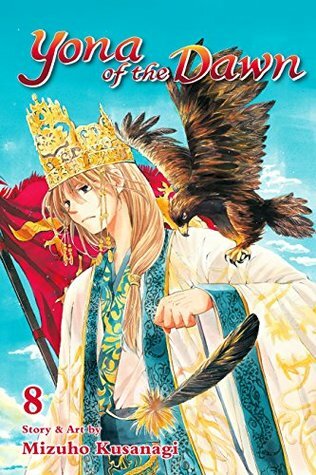 So if you’re not sold on Yona on a character ye, just read this volume because I’m sure she’ll start to change your mind in a big way. In fact, I’d bet my lunch money that by the end of the Awa/Green Dragon Arc she’ll be a much stronger character and will really start to be the leader to change the hearts of the people. Anyways, overall this volume was fantastic and I can’t wait to read the next one! An earthquake suddenly hits the Village of the Blue Dragon, and Yona and her friends are trapped! 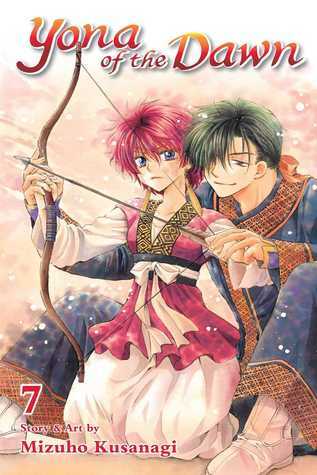 Yona manages to escape safely with the help of the Blue Dragon, and she asks him to join her. Meanwhile, Gija senses the presence of the Green Dragon! I really enjoyed reading this volume because it finishes the Blue Dragon arc. Of all the dragons, the blue one is my favorite just because he’s so adorably awkward. At the climax of this arc we get to see the true personality of the blue dragon and how he reacts to the people of his village who hate him. And by the end, he says goodbye to his past and starts on his new path towards more character growth! Anyways, in that arc we got to see more into Hak’s feelings towards Yona, which made me squeal, and we got to see more of Yona’s personality take shape. She’s still not a take charge leader, but her development is nice and slow, making her transformation as believable as possible. The back half of this volume starts what looks to be an interesting and longer arc. At the beginning, we travel to a port town in the Earth Tribe where we’ll meet the Green Dragon. I have a feeling that this arc will span a few volumes, but by the end of this one you can kinda see where the mangaka is planning on taking the story. So far, I think this arc will bring more out of Yona’s strong personality and help solidify her as the leader of the four dragons, while also starting some character growth for Gija and the Green Dragon. 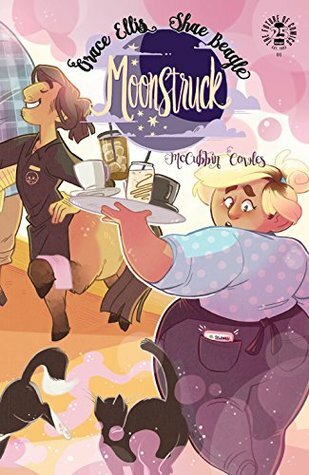 I totally recommend picking up this volume because it looks like the next arc will be fantastic, and not just for the character and story developments, but because it appears that there will be an interesting cast of new side characters! 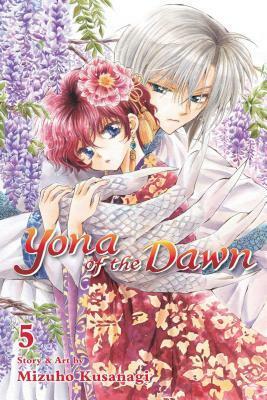 While on a quest to find the Four Legendary Dragon Warriors, Yona and her friends meet Gija, the White Dragon. Gija uses his power to detect the other Dragons, but locating the Blue Dragon proves to be more difficult than expected, and the group runs into a string of disasters! Right off the bat the pacing in this volume is a lot better and that’s actually a journey to find the Blue Dragon that takes a little while, both in the story and in the number of pages. I really enjoyed reading how these characters go about their search, there’s actually some intelligence involved in their reasoning that also allows the readers to better understand the area. All in all, it was a clever way of showing the resourcefulness of our heroes while also expanding on the world. In this volume we do get to meet the Blue Dragon and we get to see his very realistic reaction to meeting Yona. While I like the White Dragon and his village, I honestly find the Blue Dragon and his village to be more realistic and even Yun makes mention of this as well. The mangaka seems to poke fun at some common fantasy tropes that also appear in her story, which I greatly appreciate. 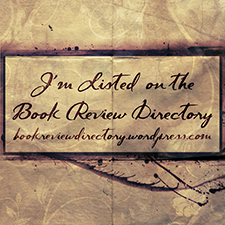 Along with meeting the Blue Dragon, you also get to read the backstory of his character and why the villagers treat him as they do in this volume. It’s all really sad—totally pulling on the heart strings with his introduction. Gija also gets a little development in this volume as well as we get introduced to some of his internal conflicts, I really can’t wait to see where his character goes. Well, I’m off to read the next volume! With a cliffhanger like that, I’m dying to read what happens to our heroes and I can’t wait to see how they develop!